FILE PHOTO - Residential buildings are seen in Beijing, China, January 10, 2017. BEIJING - Growth in new home prices in China slowed to a crawl in September after rising for 2-1/2 years, reinforcing views that a long property boom is nearing its peak as government cooling measures start to bite. 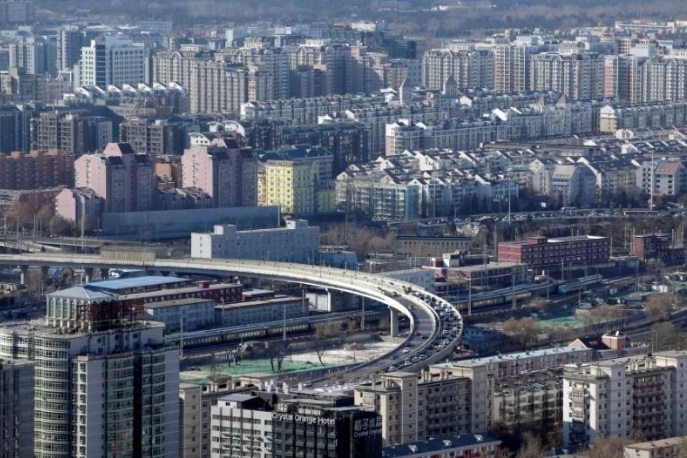 Average new home prices in China’s 70 major cities rose 0.2 percent in September from the previous month, the same as the increase in August, according to Reuters calculations from National Bureau of Statistics (NBS) data out on Monday. Compared with a year earlier, new home prices rose 6.3 percent in September, cooling from an 8.3 percent increase in August. China’s housing market has seen a near two-year boom, giving the economy a major boost but stirring fears of a property bubble - even as authorities are work to contain risks from a rapid build-up in debt. Home prices have slowly leveled out and even softened in the country’s biggest cities in recent months under the weight of increasingly stringent cooling measures, though some smaller cities are still seeing appreciable rises. While market watchers do not anticipate significant price declines or a crash, weakness in property and construction is starting to drag on broader economic growth, while the central bank warns that household debt is rising too quickly. Growth in new home prices in China slowed to a crawl in September after rising for 2-1/2 years, reinforcing views that a long property boom is nearing its peak as government cooling measures start to bite. Average new home prices in China’s 70 major cities rose 0.2 percent in September from the previous month, the same as the increase in August, according to Reuters calculations from National Bureau of Statistics (NBS) data out on Monday.